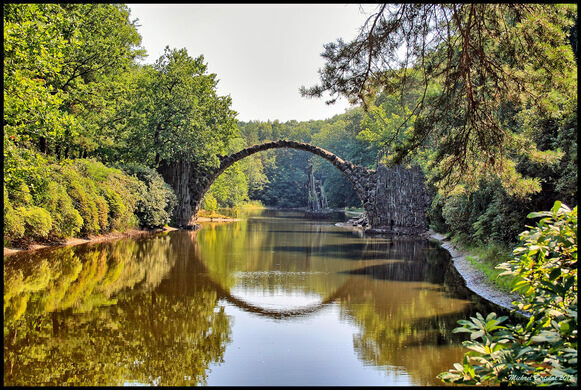 Either end of the Rakotzbrücke is decorated with thin rock spires created to look like natural basalt columns, which occur in many places in Germany. 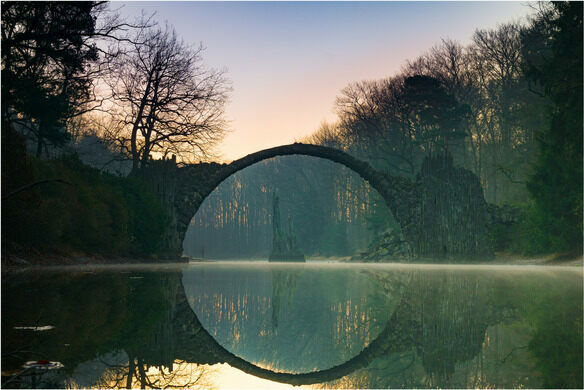 In addition, the curvature of the bridge is designed to be one half of a perfect circle, so that when the waters are still and the light is right, it creates the illusion of a complete stone circle. 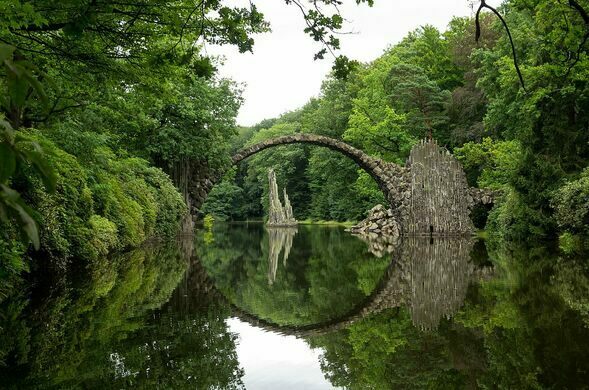 The bridge is best visited during the fall when the foliage adds an element of wonder to the already surreal view. 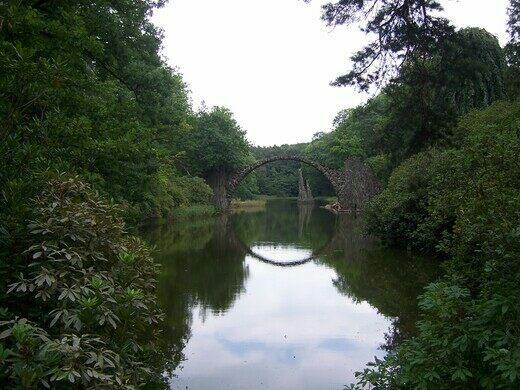 This bridge is located in Kromlauer Park in Eastern Germany and is best accessed by driving. While viewing the bridge is welcome, crossing the bridge is strictly prohibited. As of June 2018, the bridge was reported as being under renovation. The home of the morbid art of corpse plastination is open for visitors to view the stomach-churningly interesting process. 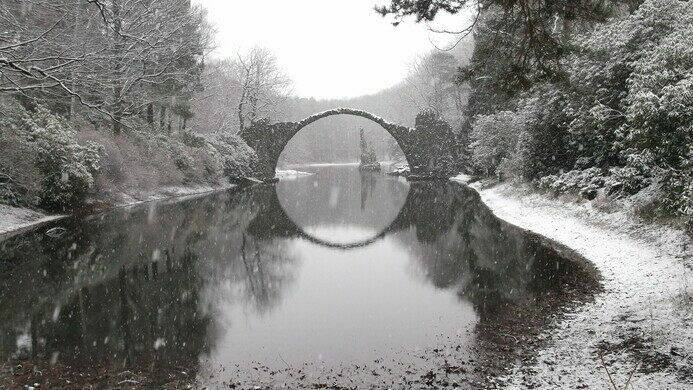 Local lore says the devil built this beautiful medieval bridge to help a fleeing bandit.